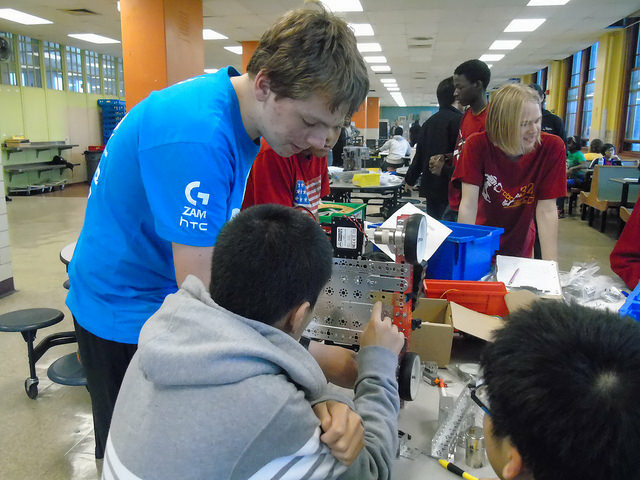 On October 24, 2015, the Central High School RoboLancers hosted Build It! This was a great opportunity to interact with other FTC teams and have extra build time. 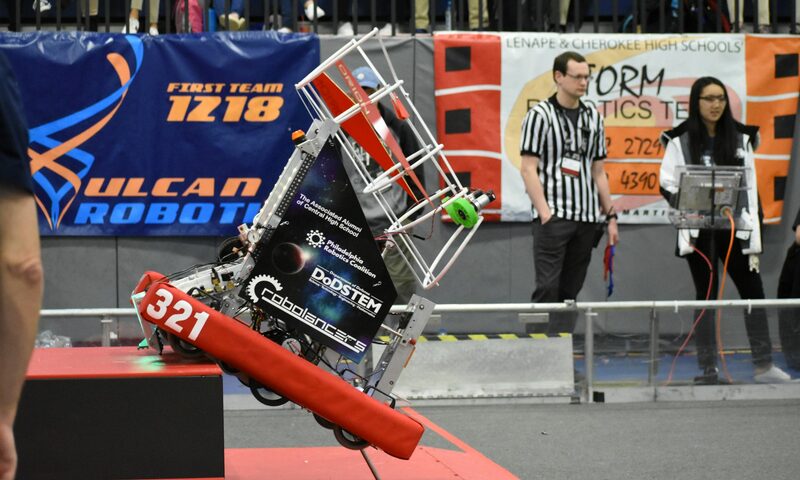 At Build It, we, the Crimson FTC team (6676), had the opportunity to test our robot on the field, which was great incentive towards completing a testable robot. This way, we could try out our work and figure out what we needed to improve our design. We found out that we were far behind our competitors, but this was another incentive to work just as hard as they did. Our mechanical team was hard at work to build our chassis and supports, so that we could install the electrical system into our robot. Ultimately, our electrical team was able to assemble the electrical system needed to run our robot. Unfortunately, the phones needed to run our robot, as FTC teams were supplied phones to run individual robots this year, were not charged so we could not test our robot. This was very unfortunate because the programmers had finished their code, and if the phones had been charged, we would have been able to see our robot in action. Thankfully, we knew our systems were functioning, and that if the phones had been charged we would have been able to test. All in all, we made a lot of progress and this meeting could be considered a success. Next PostNext Central’s Build It!